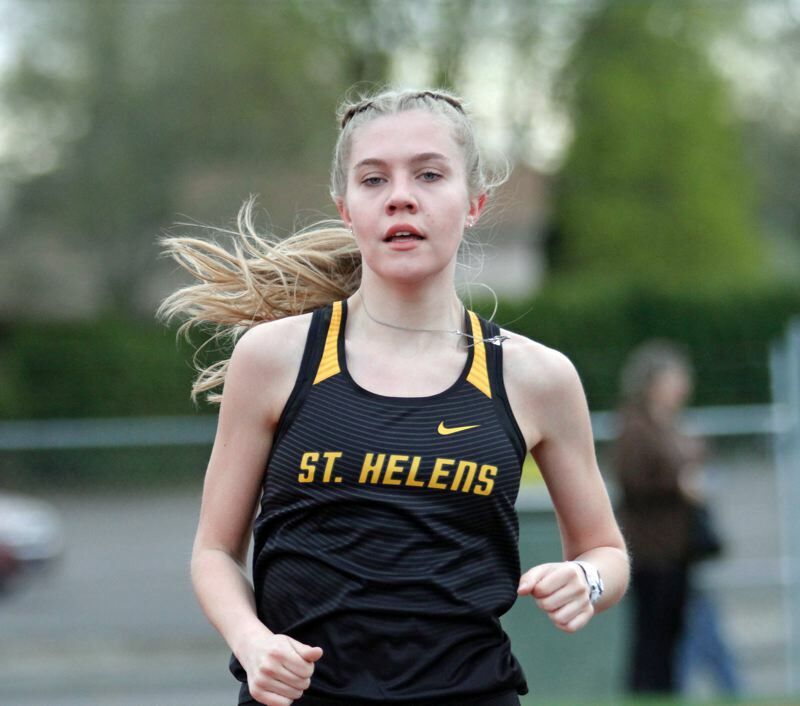 HILLSBORO — The St. Helens boys had too much Lion power for Hillsboro as they won their season-opening track and field meet Wednesday at Hare Field. With double winners on the track in juniors Logan Page (100, 200 meters) and Waylon Nichols (1,500, 3,000) and first-place finishes in five of the seven field events, the Lions beat the Spartans 81-64. Hillsboro returned the favor in the girls meet, prevailing 100-45, but the Lions enjoyed firsts in both relays and in four individual events, thanks to sophomore Savannah Moore (100, 200 winner), senior Mackenzie Trainer (800) and junior Carla Carreras (1,500). Page won the boys sprints in times that weren't far off his PRs. He clocked 11.28 and 22.71 seconds at Hare (his PRs, from last season, are 11.26 and 22.59). And, he had close company on Wednesday, as St. Helens senior Anthony Navarro finished second in both races with PRs of 11.91 and 23.84. Nichols also led a teammate, junior Cooper Montgomery, for 1-2 Lions finishes in the boys distance events. 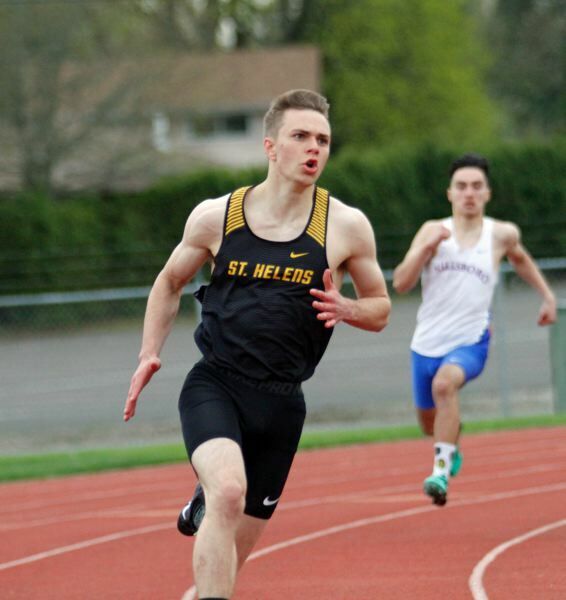 Junior Kyle Parnell was the other winner on the track for St. Helens, taking the 300 hurdles, after finishing second in the 110 hurdles. The Lions piled up points in the three throwing events, outscoring Hillsboro 23-4 and getting victories from junior Alden Finch in the shot put, senior Daniel Suon in the discus and junior Canon Beisley in the javelin. Finch had a PR of 40 feet, 7 3/4 inches. Suon's 116-5 edged junior teammate Gabe Hughes and his throw of 115-0, a PR by 2 1/2 feet. And Beisley led a javelin sweep in which he, senior Ryan Hastings and sophomore Jakob Robbins all turned in PRs (140-2, 138-3, 133-3). 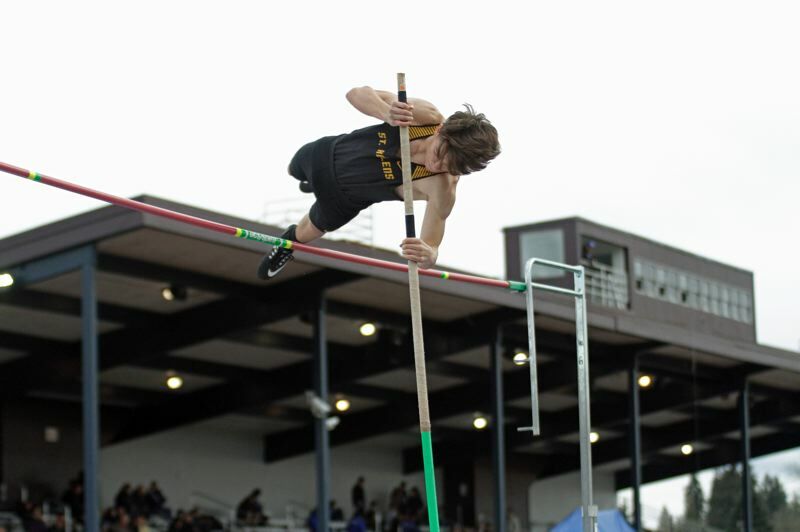 The Lions also showed their promise in the pole vault, with junior Jeremy O'Meara and sophomore Mavrick Rask clearing 10-6 to go 2-3. The Lions' biggest girls power came in the short races. Moore, a sophomore, led freshman teammate Hannah Hayduk to 1-2 showings in the 100 and 200. Trainer, a senior, won the 800 by nearly four seconds. Carreras got the 1,500 win by four-plus seconds. Moore, Hayduk and Isabelle Wallace were on both winning relays, joined in the 4x100 by anchor Kasten Warner and in the 4x400 by Trainer.